Singapore is a unique island city-state. This melting pot of culture, food, and experiences isn’t just another insipid city. It offers visitors more than shopping centers and western price tags. Like what? Examples include but aren’t limited to super trees, the one and only night zoo, and Singlish, better known as Singaporean English. Tourists are getting more interested in visiting the Lion City. The tourism industry is no longer struggling to attract international visitors or convince them to spend a great deal of money on their holidays. It’s as if Singapore was created to attract sightseers. In 2018, tourism receipts and visitor arrivals attained all-time record highs. To be more precise, in the first quarter of the year, figures grew by 7%, while in the second quarter, they grew 8%. Not surprisingly, the most number of visitors came from China and India. Growth in tourism in Singapore is largely attributed to a boost in leisure visitors and higher spending on shopping. It’s crucial to understand that tourism is good for the guest, as well as for the host. Speaking of which, the host community gains a lot from the constant interaction with travelers. Retailers, food vendors, and souvenir sellers are able to make a decent living while catering to the needs of the vacationers. As far as residents are concerned, they are able to preserve their cultural heritage. The community can share its story and maintain its unique identity. Culture and traditions in the island city-state haven’t undergone major transformations. As a matter of fact, they are alive and kicking. Foreigners have to make sure that they meet the entry requirements imposed by the Singapore Immigrations and Checkpoint Authority. British passport holders don’t have to get an authorization, as long as they don’t plan to stay more than 30 days. Other foreigners do, on the other hand. Indian passport holders, for instance, need a Singapore visa Bangalore, and so do individuals from countries like Moldova, Belarus, Iran, or Syria. It’s necessary to have a valid passport and travel itinerary. Needless to say, it’s possible to get help. Attention needs to be paid to the fact that there has been a relaxation of visa requirements, meaning that the government is making tremendous efforts to promote Singapore as a tourist-oriented place. The beginning of 2019 is pretty bright. 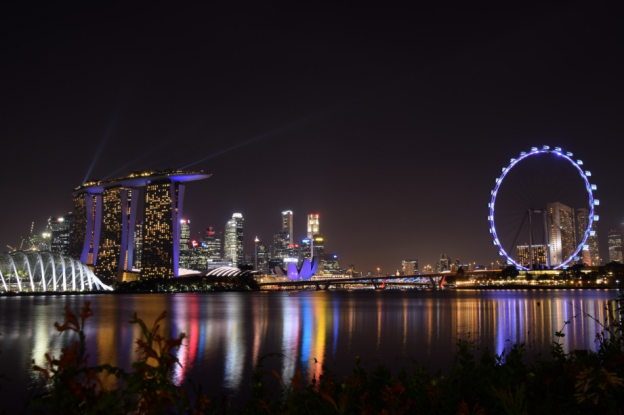 The Singapore Tourism Board recently introduced an AR camera filter on Facebook, helping people identify the most interesting locations and seeking transportation. The aim is to attract travelers that are looking forward to getting in the middle of the action. The statutory board wanted nothing else but to tell a story through delightful people, who are passionate about the city and know how to have fun. It’s a matter of time until the video will have success. Who can resist augmented reality, anyway? Singapore keeps on evolving as a travel destination and there’s no way of knowing what the future holds. The only thing that is for sure is that it’s all positive.